Run Jump-n-Play is a GREAT PLACE for Groups! Run Jump-n-Play® can comfortably accommodate any large group. Our spacious, private rooms are the ideal place to hold your next event. The wide variety of activities promise a day of fun and adventure! A safe, state-of-the-art facility means you can relax and enjoy your event along with your guests! 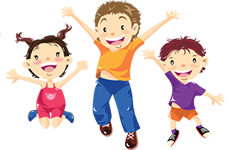 If you have a group of kids hankering for fun, kick back and let Run Jump-n-Play host your next outing! Call us today! We have the perfect package for you! 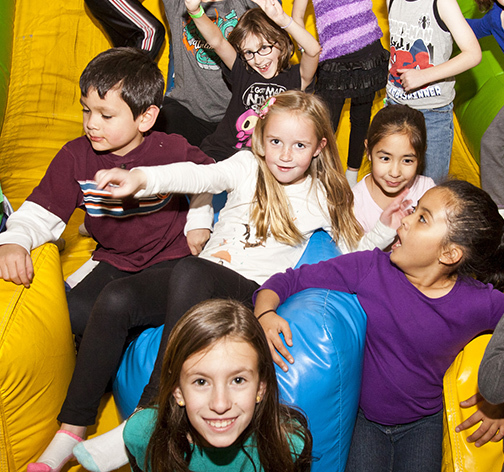 Indoor Playground, Giant Inflatables, and Private Party Rooms!